Lost at Comic Con 2? I was reading through an earlier manuscript tonight, the next in the same universe as Lost at Comic Con. It was written first, but served as more of a sequel to the other novel. Unfortunately, it wasn't very good. I might not have known this when writing it, but upon re-reading it, the whole thing feels like the ravings of a psychopath hopped up on the movies I was in love with at the time like Free Enterprise, Fight Club and High Fidelity. The book is told from the perspective of Sam Beckett, who you may remember from my first novel. In this one, however, Sam is wildly different. You've heard of author inserts, of course. Well, Sam is definitely an author insert of me, down to where he's living to his job to his love and interests. His whole tale is set against his birthday and his girlfriend breaking up with him. He also hangs with his friends and drinks a lot. Most of them are named after Green Lanterns. Also, there are a ton of typos. The kind I thought programs were supposed to catch. Not a great scene. Not particularly at great novel. Made me cringe to read it. But there's a seed of something. I think it could be something fun. Enough that I could adapt it to be a proper sequel to LACC. One that gives some closure to their stories and creates some new adventures for them. I've got a few other books in the works so it won't be something coming out next year, but it is there on the horizon. So what do you think? Would you like to read more about your favorite characters from my first published novel? 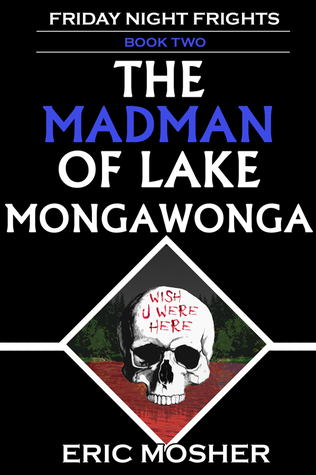 Want to win a signed copy of The Madman of Lake Mongawonga? Click on the link above and enter the Goodreads Book Giveaway I set up. Good luck!